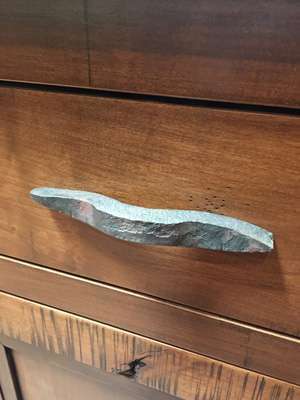 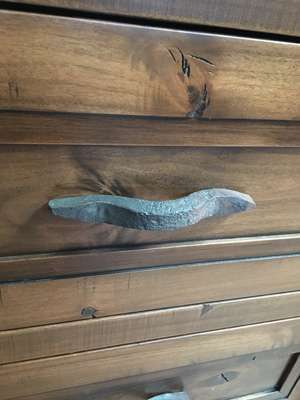 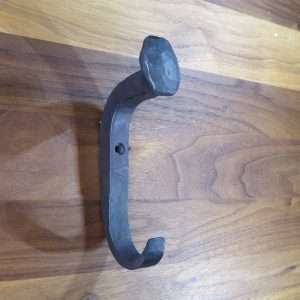 Drawer pull hand forged from used railroad spikes. 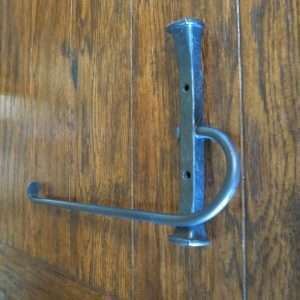 Each pull or handle will vary slightly. 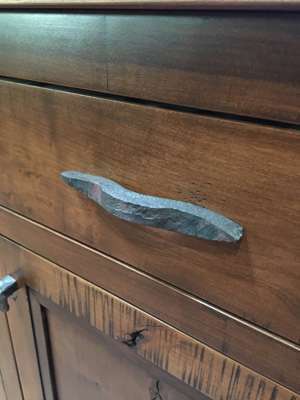 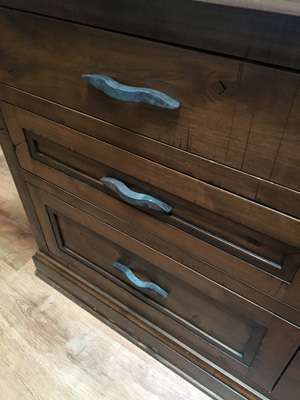 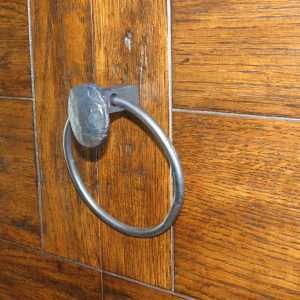 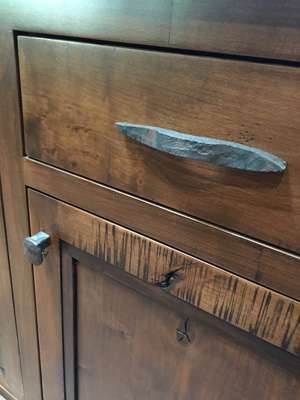 The wrought iron drawer handle is straight out of the forge and lightly brushed to leave a nicely rounded, hammered, western and antique looking handle. 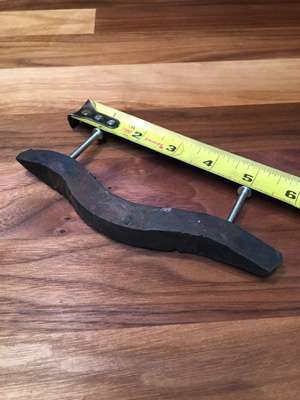 Dimensions are approximately 6-1/2″ wide by 5/8″ tall and extend from drawer 1-1/4″. 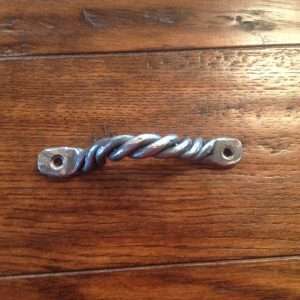 Each is tapped supplied with (2) 1-1/2″ 8-32 screws on 4″ centers. 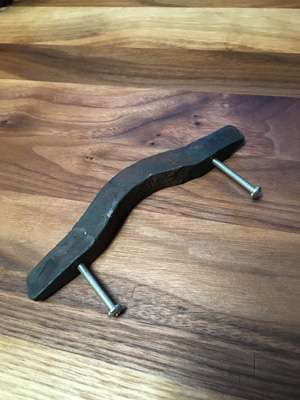 quickly hammer out some more.